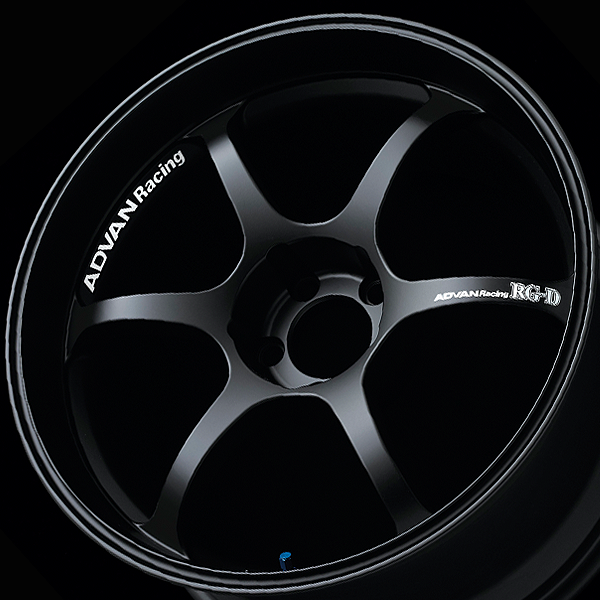 This slim 6-spoke design is a fusion of the basic ADVAN Racing RG and deep rim designs. 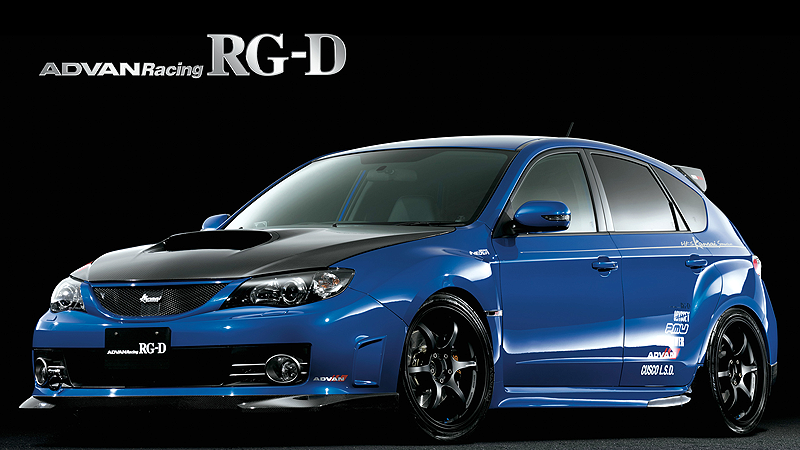 The superb spoke curves allow a deep rim design with ample caliper clearance. 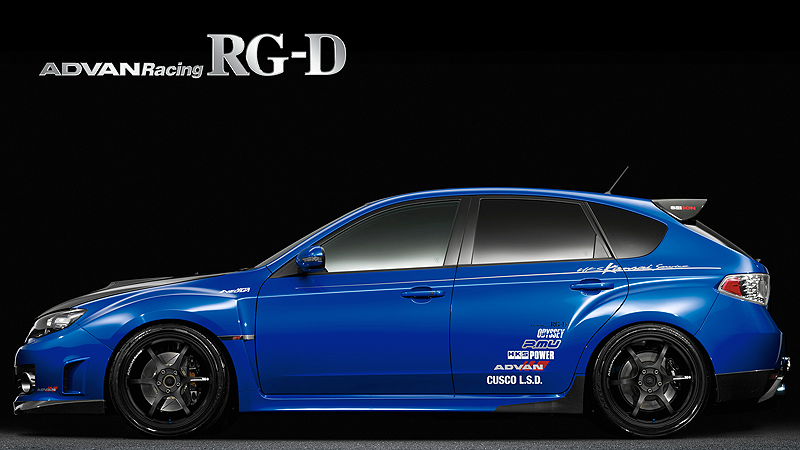 Overall, the form of the wheels exudes a dynamic presence. 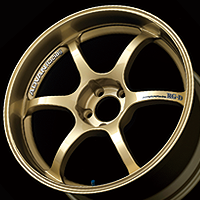 This lightweight, one-piece high-tensile forge-cast sport wheel is created by combining forming process that adds stiffness and rigidity with the highest quality forge-casting method using YOKOHAMA Wheel's leading-edge casting technology. 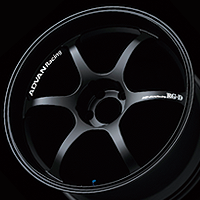 With specially produced forms, we produce two deep rims, standard-deep and extra-deep, in 17- through 19-inch sizes. Each rim depth is carefully calculated for optimal rim depth and each wheel is specifically designed for caliper and fender clearance on the automobiles they are designed for. Every extra-deep rim is engineered as a reverse type. 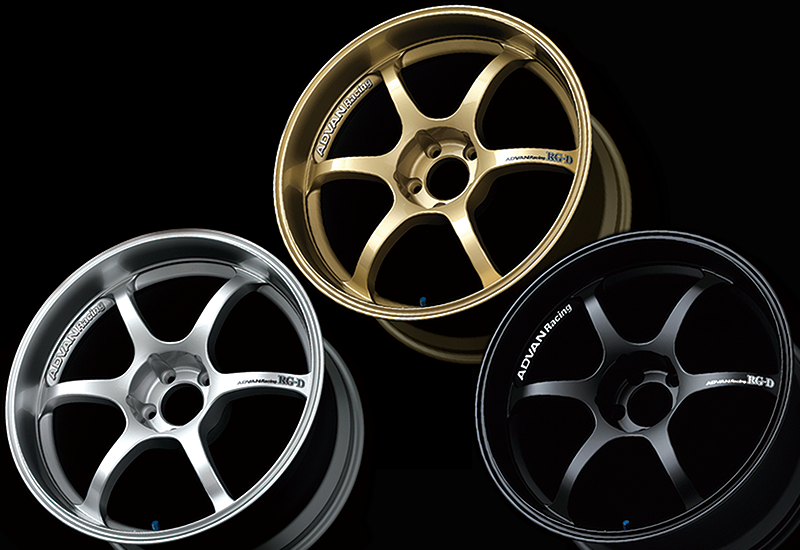 The three available colors are racing hyper silver, gold, and mat black. And to further define the sports wheel concept, the outer rims have not been machined. That said, a new computerized casting process that cools the outer rim portion is used to gain unprecedented strength. 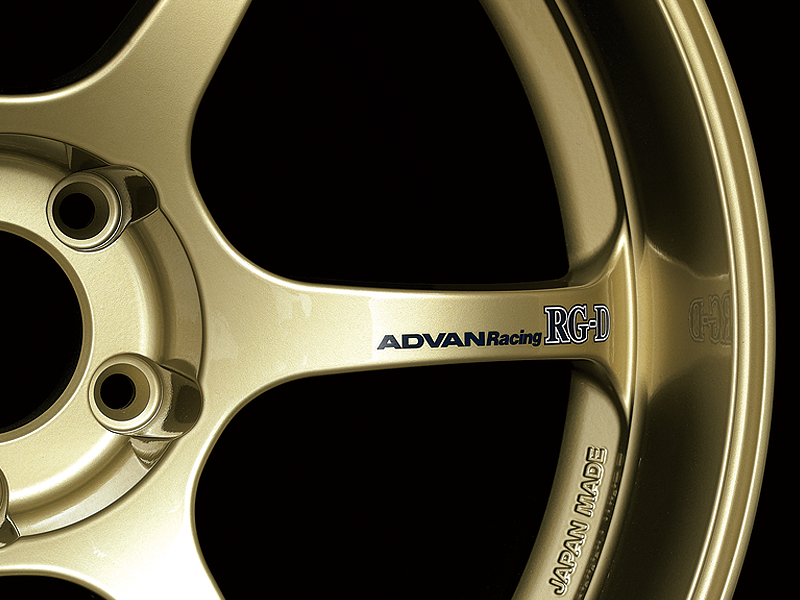 These RG-D wheels also feature the cast logo on the rims between the spokes that has become a trademark of ADVAN Racing wheels. 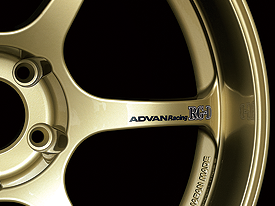 The ADVAN Racing logotype is raised a full 1mm and its surface is polished after painting for a sculpted effect. The contrast is especially dramatic with black and gold. 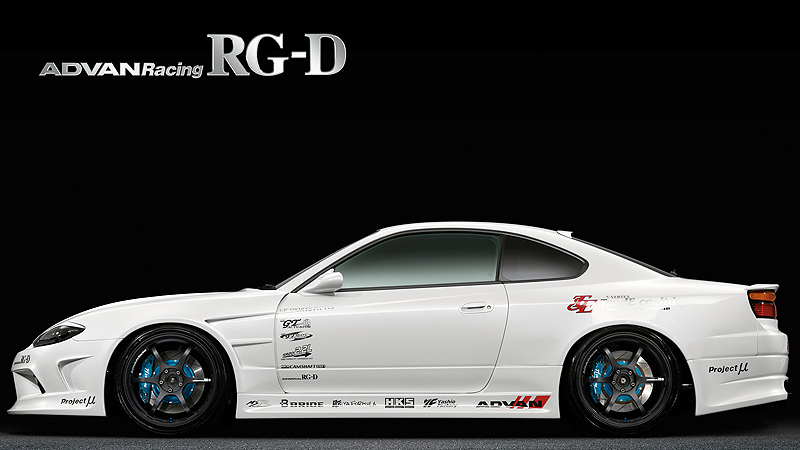 RG-D logo stickers come with the wheels to be attached to the spokes by the purchaser. 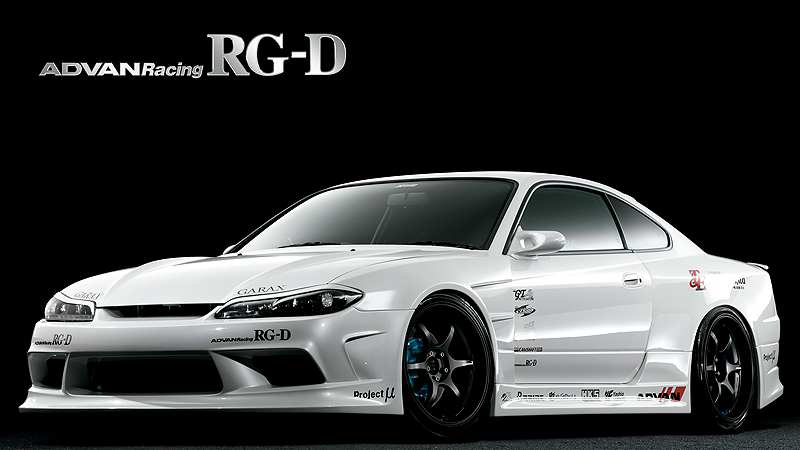 The stickers create a raised appearance that enhances the rim's quality image. Capless design. 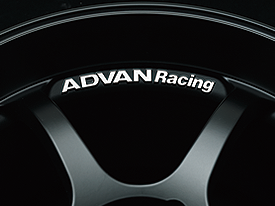 Special ADVAN Racing cap and ring assemblies are available. 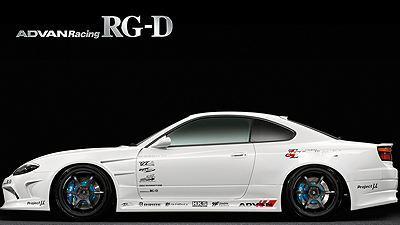 Combining the traditional ADVAN Racing RG 6-spoke design with deep rims adds new appeal. The spokes are exactly the right thickness with just the right curvature, taking the RG look to a whole new level. The exceptionally high quality spoke decals are designed to be applied by owners. 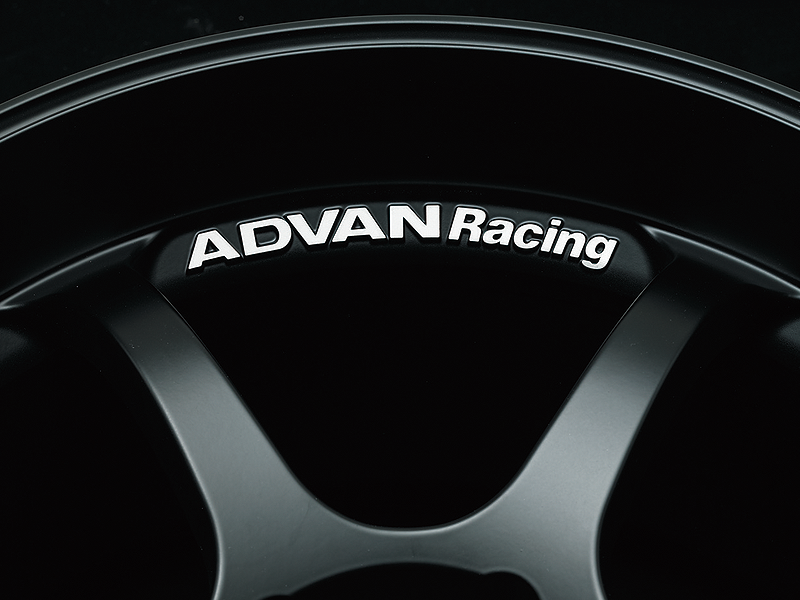 The ADVAN Racing logo trademark is cast in letters 1mm high. After casting, the faces of the letters are engraved by 3D processing machine, which creates the painted portions in higher contrast. 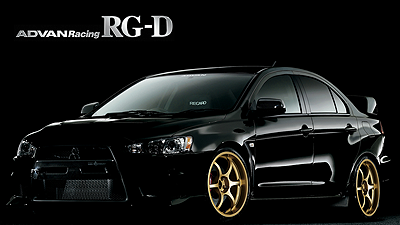 Rim (tire fit) S: Standard Deep　E: Extra Deep　(F): Front Tire Fit　(R): Reverse Mount.